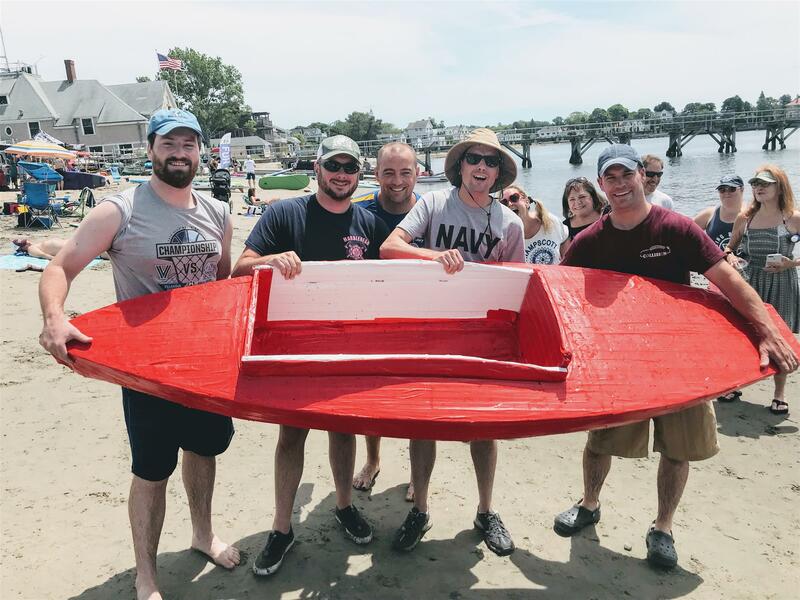 Nancy L. Schultz, Ph.D. is a professor in the English Department at Salem State University with a specialty in American Studies. 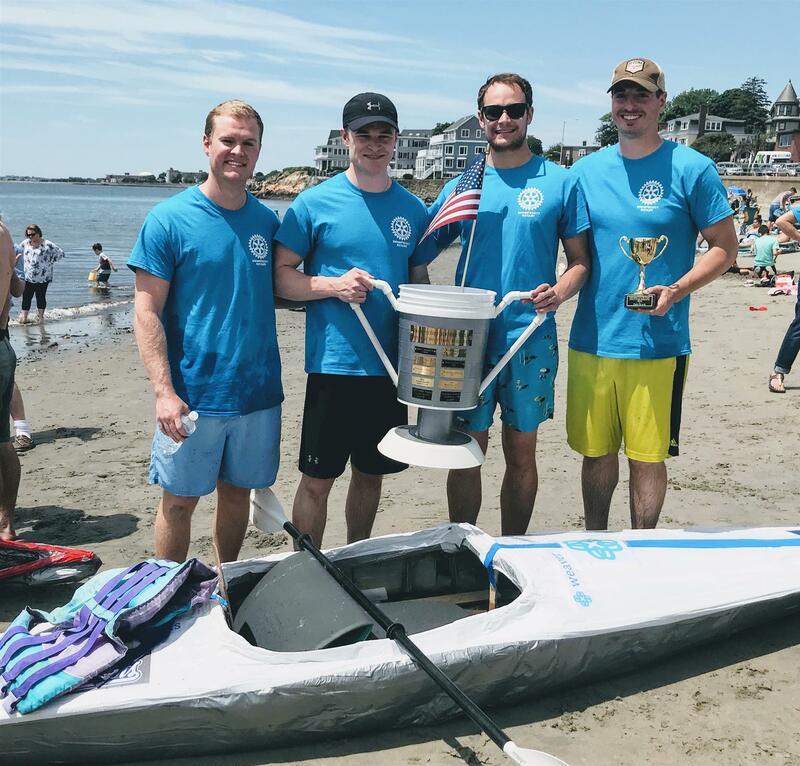 This past Saturday at Fisherman's Beach in Swampscott the Swampscott Rotary Club sponsored the twelfth annual Duct Tape Regatta, a fun but competitive race which has raised over $ 200,000 for international water projects over the years. 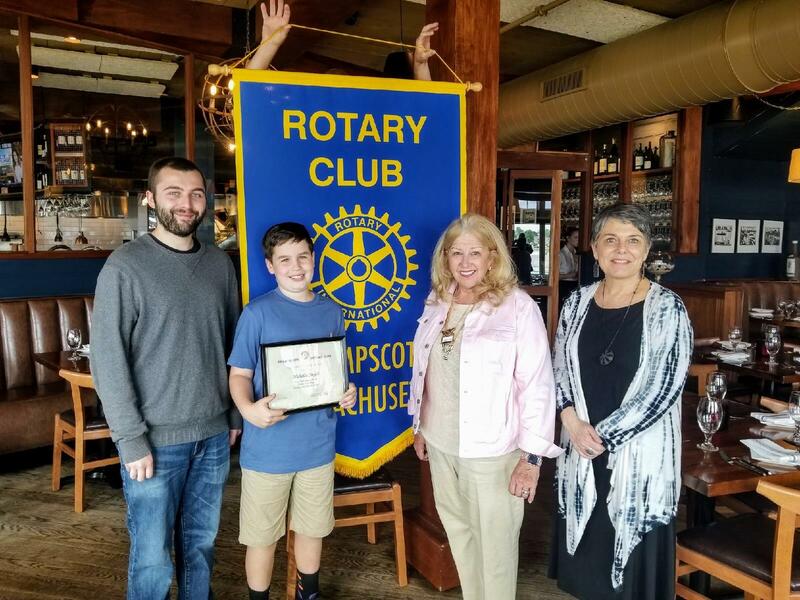 Quinn Hitchcock was hosted and recognized by the Swampscott Rotary Club last week with our Quest for Excellence Award. 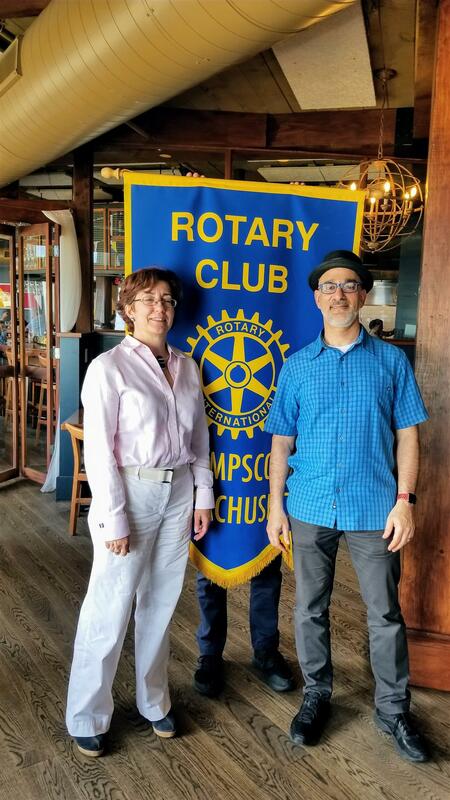 The Swampscott Rotary Club is pleased to welcome Boston Sports Medicine as our newest members. 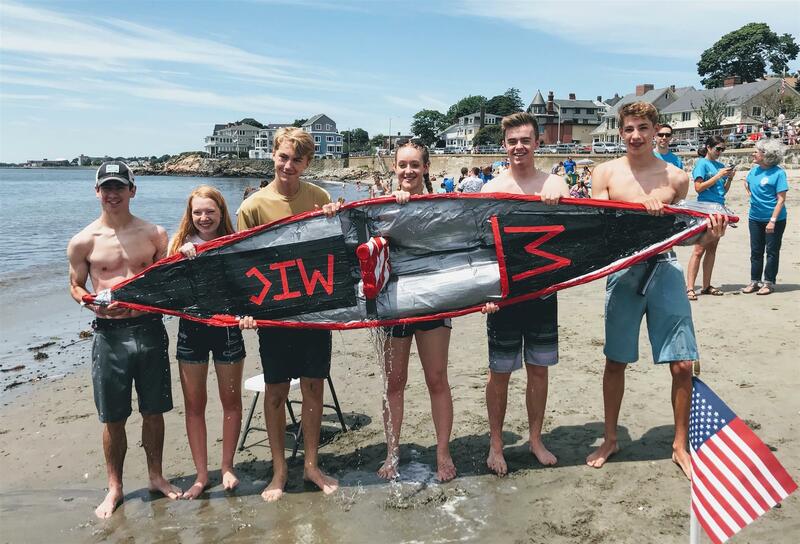 It is owned by Michael Velsmid and located at 503 Humphrey Street in Swampscott. 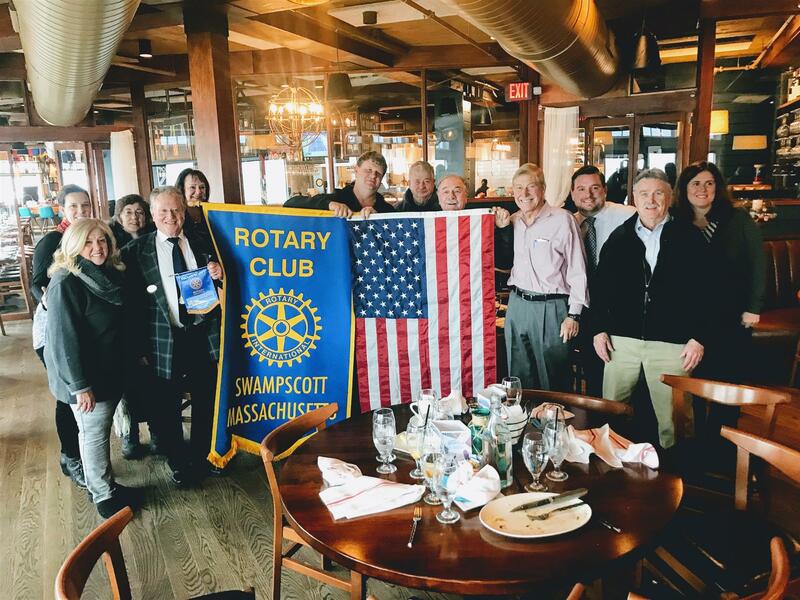 This week members of Swampscott rotary donated their time and blood at a Red Cross Blood Drive sponsored by the Marblehead rotary club. 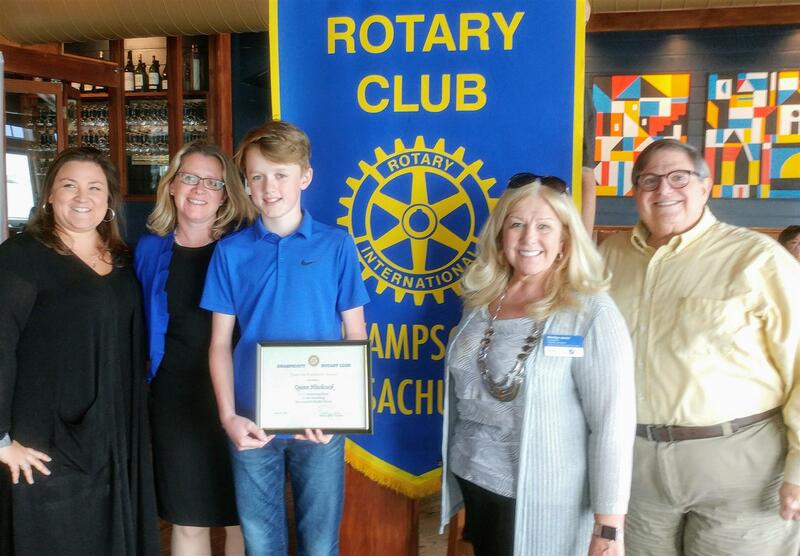 The Swampscott Rotary Club has recognized Swampscott Middle School student John Kiely. 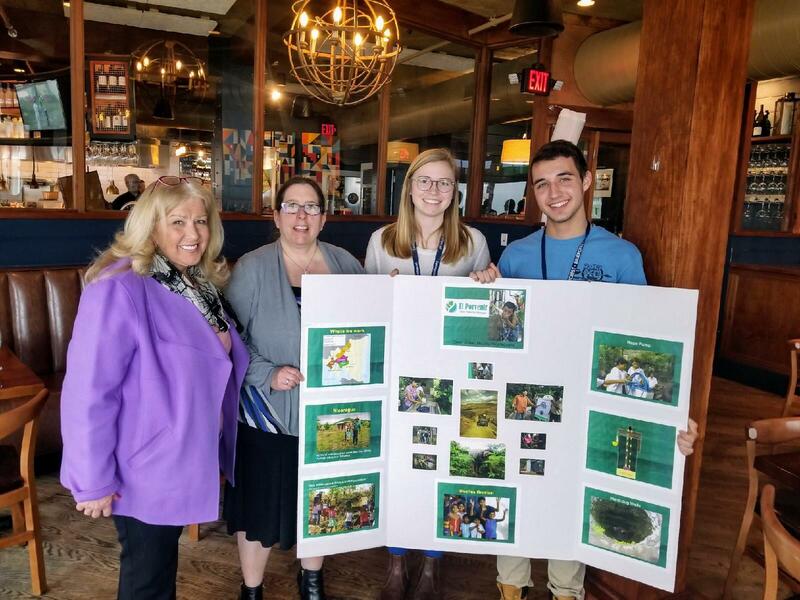 John was accompanied to our meeting by his mother, Julie, and introduced by his social studies teacher Ms. Lisa Rapisarda as a wise and considerate student who is always looking to help others. Plus, she said, " John is just a great kid." Very high praise indeed so, John, keep up your excellent work at SHS! 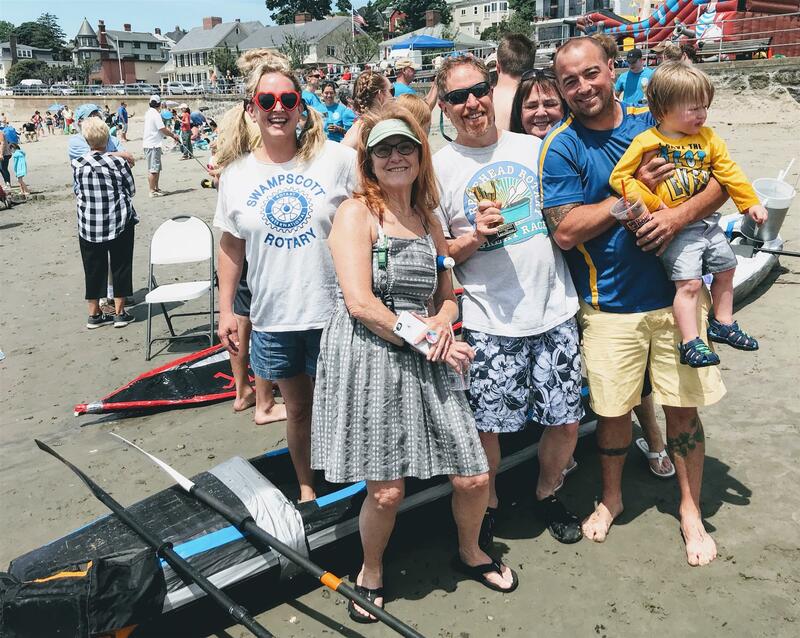 Also in attendence was Swampscott Middle School principal Jason Calichman. 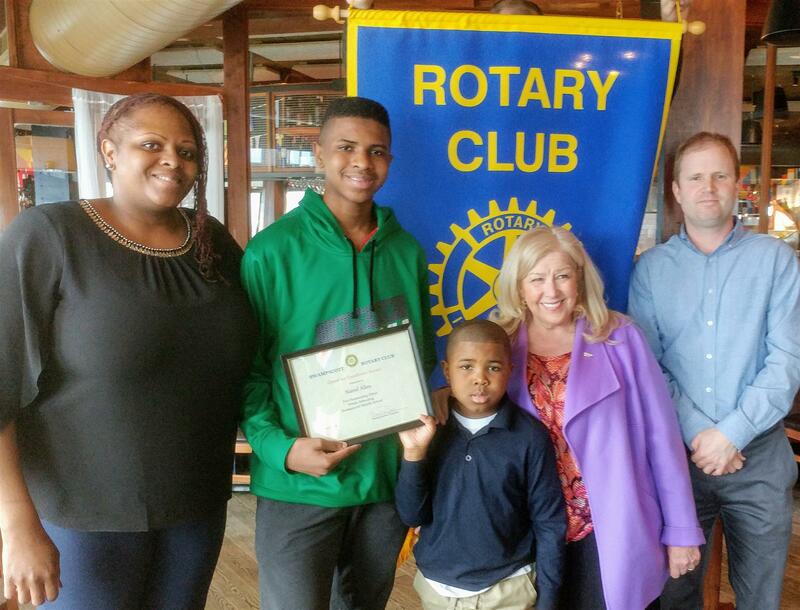 Yesterday the Swampscott Rotary Club hosted Swampscott Middle School student Natrel Allen, along with his mother Brandy, brother Natif and his guidance counselor, Dylan Randall. We recognized Natrel with our Quest for Excellence Award for March. 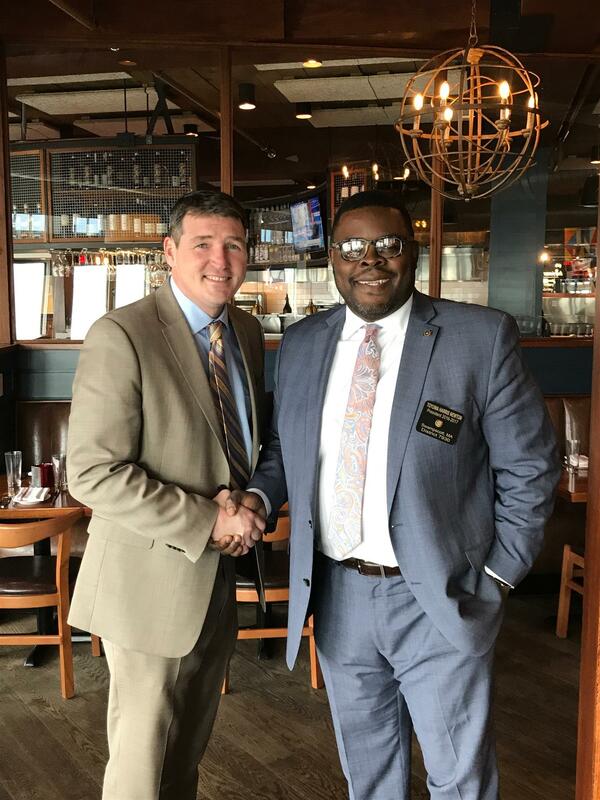 Mr. Randall introduced Natrel and spoke of his excellent school work along with his pleasant and helpful manner at the middle school. Natrel is also an exceptional athelete. 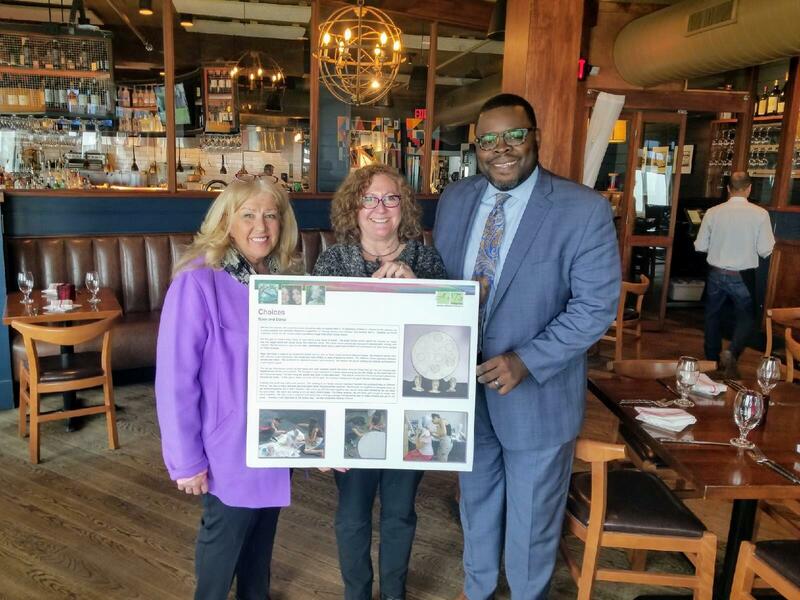 Congratulations, Natrel, and keep up your great work! 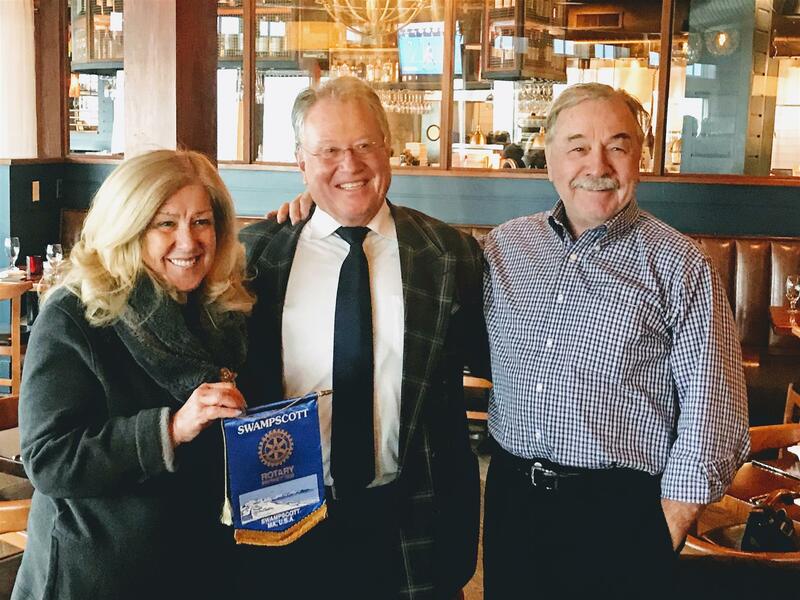 Scott Faulkner spoke to the rotary club about the progress on the Blocksidge Field Installation. 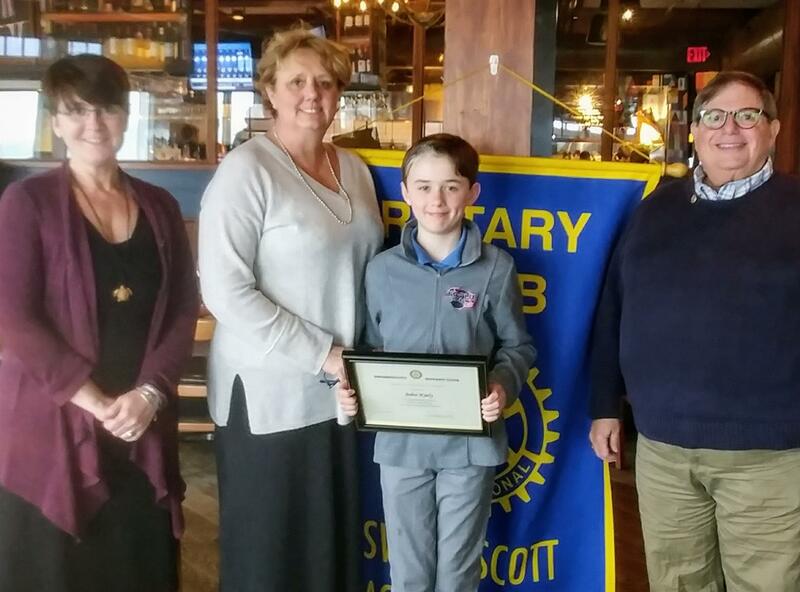 Yesterday, at our Wednesday weekly meeting at Mission on the Bay, the Swampscott Rotary Club recognized Swampscott Middle School student Madeline McDonald with the Quest for Excellence Award. 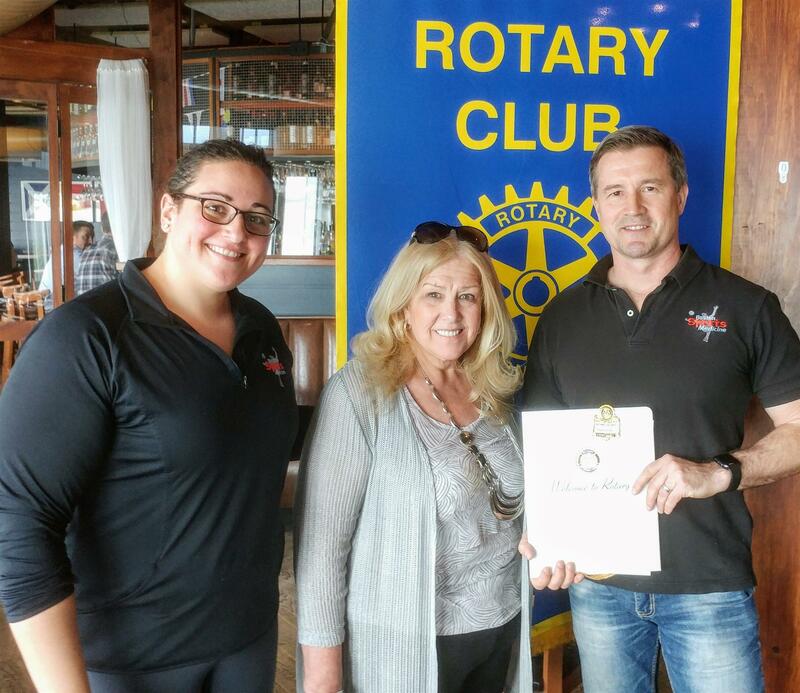 Mission On the Bay general manager Matt Holbrook spoke to our club last week about his restaurant's plans for the summer. Along with a new and revised menu for the rooftop deck they will be featuring live music from local bands. 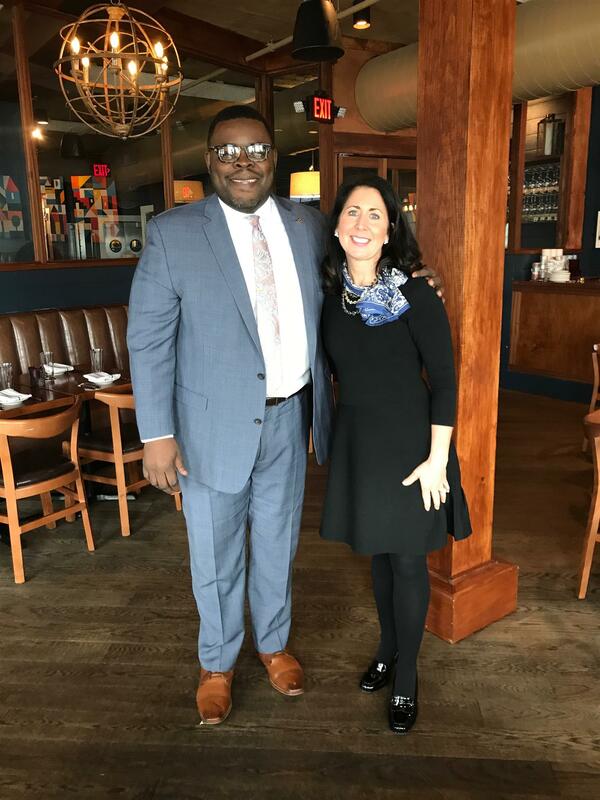 Sophia Thomson was introduced by her English teacher, Mr. Brandon Lewis at our weekly meeting last Wednesday at Mission on the Bay. 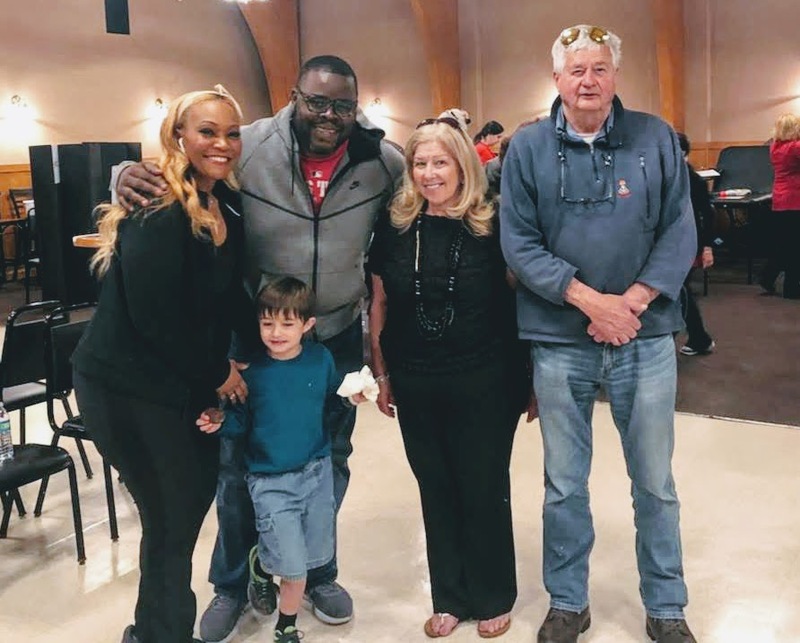 Joining us and Sophia were her parents, Mrs. Karen and Mr. John Thomson. 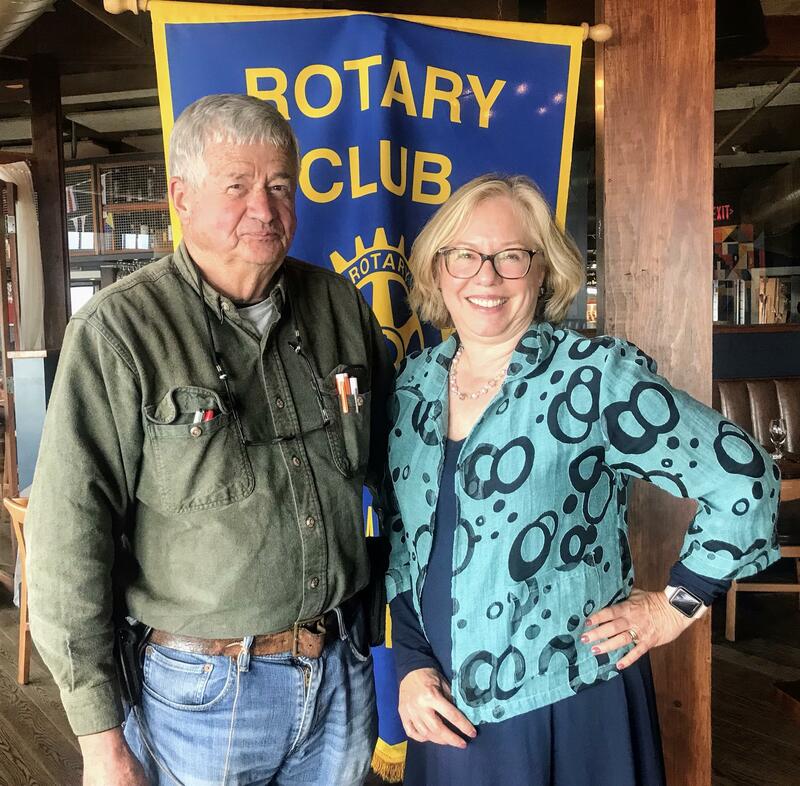 Peter Kane visited rotary to discuss the town's new Rail Trail project. The town plans to convert abandoned railroad tracks into a community rail trail. 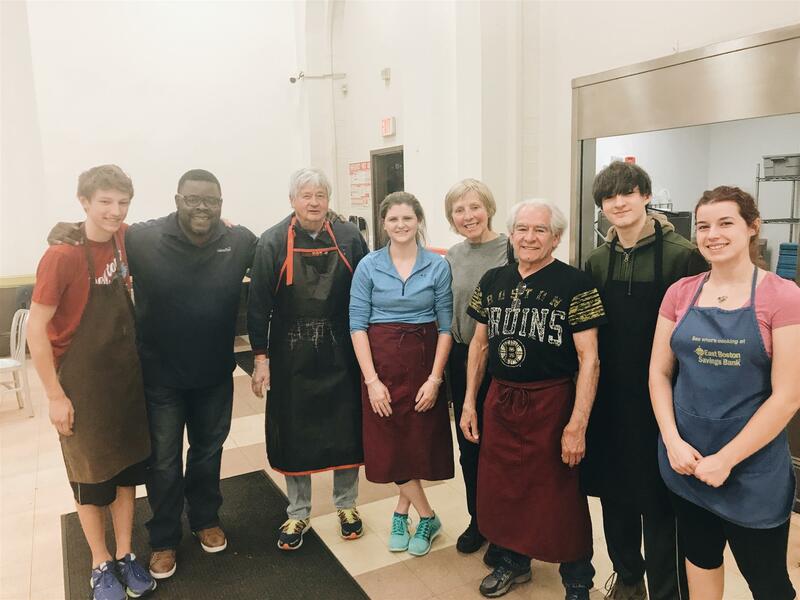 Swampscott rotarians and Interacters volunteer at My Brother's Table. 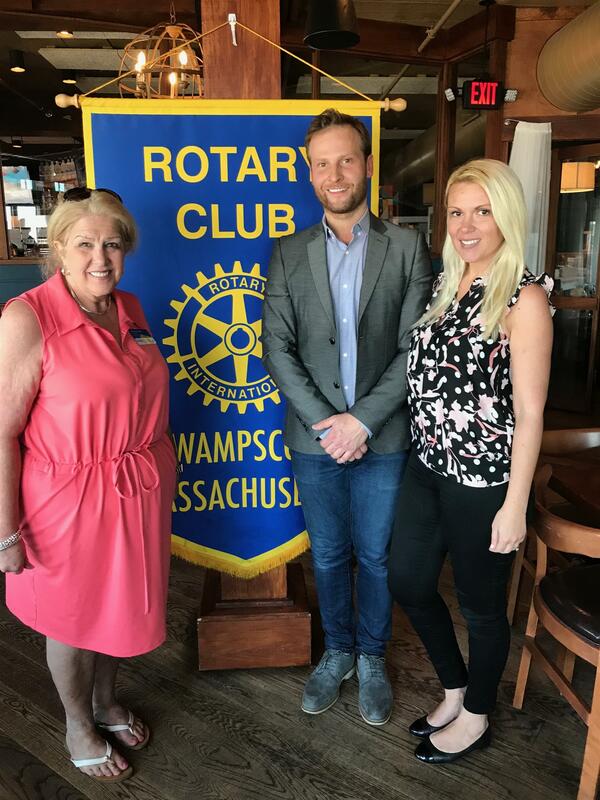 Sean Fitzgerald, Swampscott's new town administrator visited rotary this past week. 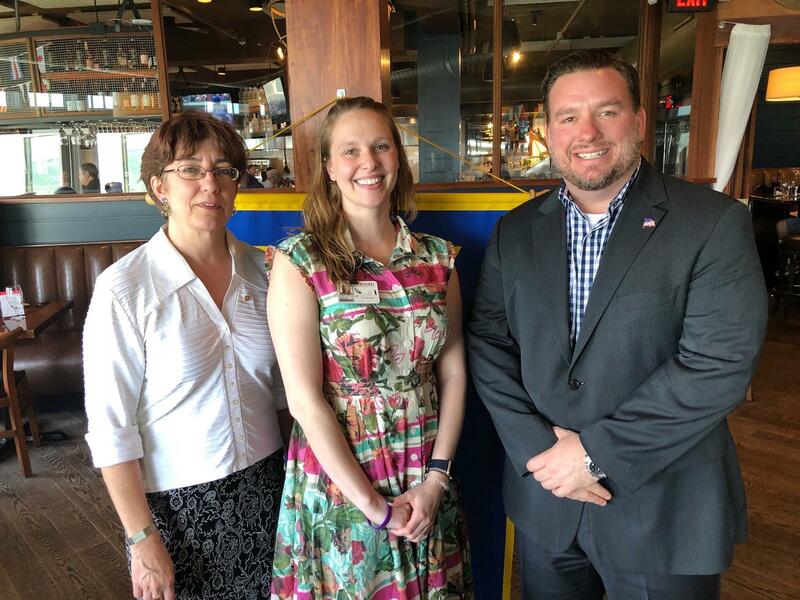 Rotary hosted the principal of Hadley Elementary Stacy Phelan at lunch this past week.